Bridges are a way to replace missing teeth that involves placing a crown on the teeth in front and behind the missing tooth or teeth. 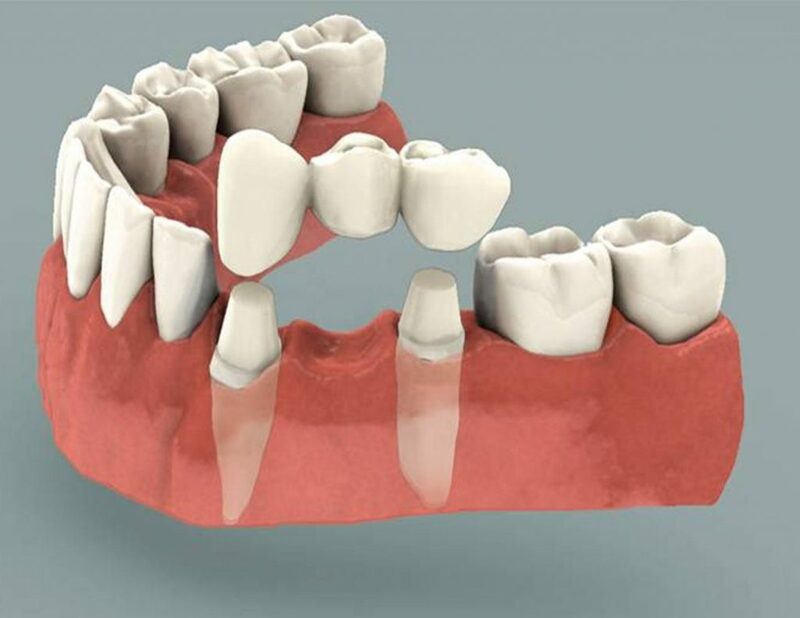 (Abutments) Bridges can be made out of the same materials as crowns. They are bonded or cemented into your mouth. They look, feel, and function like real teeth. Sometimes a bridge is a great option, and sometimes there are better options. We will help you decide which option is best for you. Bridges can also be placed on real teeth or implants.